How to setup a permanent webhook in the Kassa Compleet Portal? [Kassa Compleet] What changes in my contract are permitted? I wish to terminate one of the payment methods in Kassa Compleet. How do I do this? [Kassa Compleet] I want to modify the payout frequency of my webshop. How do I do that? [Kassa Compleet] My customer wants to exchange or return a purchase. How can I return the money? [Kassa Compleet] How can I make a refund? [Kassa Compleet] What is a refund transaction? [Kassa Compleet] How and where do I check which transactions have been paid out in which payout? 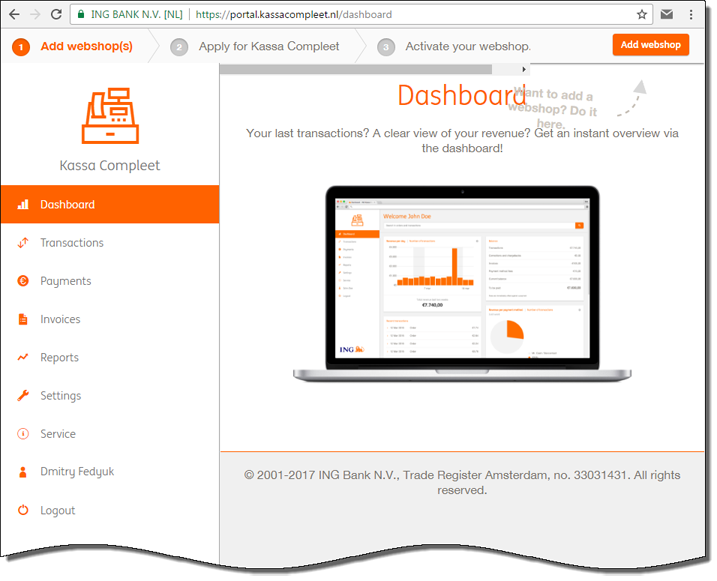 [Kassa Compleet] How can I get the details from Kassa Complete into my accounting package? [Kassa Compleet] How are payment option costs charged? [Kassa Compleet] Why do I receive an email about a new invoice? [Kassa Compleet] How are subscription costs charged? Is it possible to use Kassa Compleet with hosted payment pages? [Kassa Compleet] What is an API Key? I have applied for Kassa Compleet and received an adjustable refusal. Now I have completed the necessary changes. How can I reapply? I have applied for Kassa Compleet and received an adjustable refusal. Where can I find what I need to adjust? [Kassa Compleet] How often do I receive the turnover from my webshop? [Kassa Compleet] Where is my API Key located? Where are my website settings located inside the Kassa Compleet portal? [Kassa Compleet] What is a chargeback?